What Are NORFED Liberty Dollar Coins? U.S. Mint Warns About NORFED Liberty Dollar U.S. Coin Lookalikes! The now-defunct organization with the unwieldy name "National Organization for the Repeal of the Federal Reserve Act and the Internal Revenue Code," or NORFED for short produced the Liberty Dollar (ALD) coins. NORFED's goal, according to its founder Bernard Von NotHaus, was to provide an alternative currency to that which is issued by the U.S. federal government: a currency that is backed by gold and silver, and therefore inflation-proof. NORFED has manufactured these coins in various denominations, including $1, $5, $10, and $20 in silver, and $500 in gold. In May 2009, Von NotHaus was charged with federal crimes in connection to the production of Liberty Dollars. On March 18, 2011 he was found guilty of "making coins resembling and similar to United States coins." Although the United States Justice Department recommended a sentence of seventy-two years, she was only sentenced to six months house arrest and three years probation. He was later released from his probation after serving only one year. Later on, a federal judge ruled that any Liberty Dollars seized by the United States government should be returned to their respective owners. Before forming NORFED, Von NotHaus had a colorful past. He was co-founder of the Royal Hawaiian Mint Company and he created the Free Marijuana Church of Honolulu. He believed that the Federal Reserve Bank was just an instrument of the government used to control the people. Although his coins and paper currency had a dollar value on them, he would go out of his way to never refer to them as "legal tender" and insisted that they were items of "barter." This was a key defense during his criminal trial. In addition to the coins being distributed by NORFED, They have also distributed printed currency in the form of various denominations of Liberty Dollar bills. These paper Liberty Dollars are far less worrisome since they don't look anything at all like real U.S. paper money. 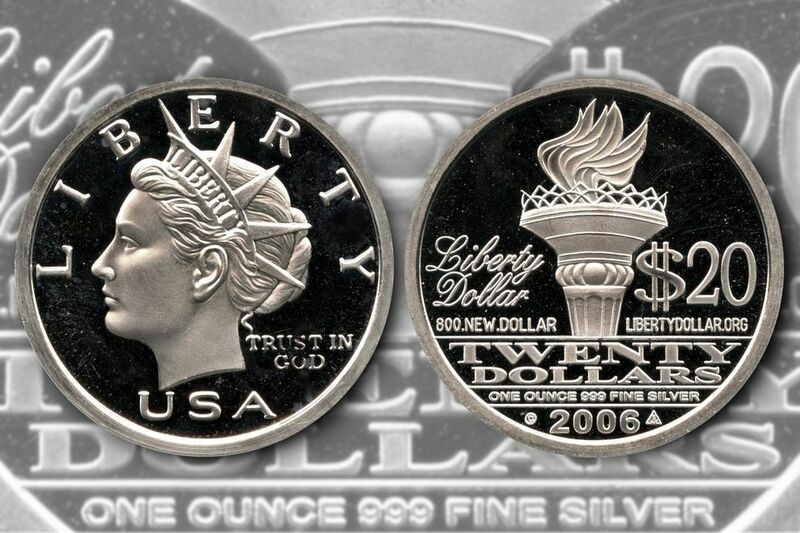 The reason these Liberty Dollar coins were deemed potentially confusing by the U.S. Mint is that the Mint introduced a new One Dollar coin type in February 2007, called the Presidential Dollar. Any time there is a major change to the coinage, there is bound to be some confusion, and unfortunately the Mint feels that these so-called "Liberty Dollars" are similar enough to genuine U.S. coinage that people might take them during monetary transactions without realizing that they're not U.S. legal tender. Although it is not against the law to own these Liberty Dollars as a collectible item, it is illegal to use them to conduct any commerce in the United States. If a merchant tries to give you one, politely refuse it. If they insist, claiming these coins are legal tender, you should cancel the entire transaction with that merchant and report them to your local Secret Service Field Office. If someone tries to give you a dollar coin that you don't recognize or aren't sure about, just remember that the only U.S. Dollar coin type is the "golden dollar," the same size and color as the Sacagawea Dollar. The U.S. does not make any penny, nickel, or dime-sized dollar or multiple-dollar coins out of a silver-colored alloy.